2019 has started out fabulously, Francesca is #3 Min Pin, #3 All Breed and #2 OVERALL in NOHS Please contact us to see who is available. Vinnie obtains more performance titles & we have a new Champion already this year! 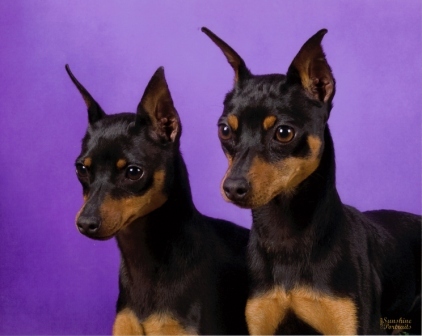 I am dedicated to breeding Miniature Pinschers that are true to breed type, characteristics and free of hereditary disease. I do occasionally have a litter. All dogs that are sold as pet/companion only (non show)are sold already spayed/neutered or on spay/neuter contract if they are under 6 months old . All dogs that are sold are also in contract to be returned to me at any point in there life if you are no longer able to keep them. I do not breed or endorse the breeding of dilutes or non AKC/MPCA breed standard colors such as blue, fawn, tan, harlequin or brindle nor do I endorse mixed breedings. 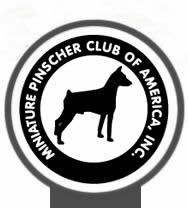 I am Vice President for the Miniature Pinscher Club of Northern California, Breeder Referral for the Miniature Pinscher Club of America and AKC, member of The Pacific Northwest Miniature Pinscher Club, Board of Director for Del Valle Dog Club of Livermore, member of Nor Cal Toy Dog fanciers, and Volunteer for IMPS Min Pin Rescue. If you are considering adding a Min Pin to your life but arent sure, I invite you to come to my home and meet the dogs. Seeing one walking down the street or on tv is different then interacting with them face to face. I thoroughly love answering questions and educating people of the wildly wonderful Min Pin, so please feel free to ask me anything.